Clogged or leaky gutters are more than a cosmetic concern. They can cause mold, rotting fascia boards, roof stress, and foundation problems. Those are expensive problems! Foundation repair alone can cost tens of thousands of dollars. Mold remediation can be anywhere from $500 to $6,000. Don’t let water damage sneak up on you. 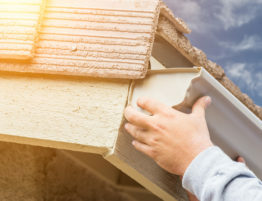 Get to know the signs that you need gutter repair near Tacoma. If you notice water dripping from your gutters when it rains, you probably have a leak. Because gutters come in several pieces, the joints and seams eventually shift and settle, causing rifts for water to seep through. Sunlight, heavy rains, and high winds can contribute to leaking gutters. Regular maintenance and re-caulking the seams will help prevent leaks. If gutters get clogged from debris or start flowing slowly, the weight of the water accumulated in them can cause sagging over time. Gutters are most commonly made of aluminum. This lightweight metal can bend or misalign with abuse. Heavy gutters can even come loose from the house. Sagging gutters keep water from reaching the downspout. They also let the water run onto the fascia boards that the gutters attach to. This can cause rotting and the gutters to fail. Make sure your gutter hangers or nails are flush with gutters and not coming loose. Heavy rains can cause compromised gutters to overflow. Imagine a cascade of water spilling down the side of your house. Leaves can get stuck in seams or turn into makeshift dams at bracket points. 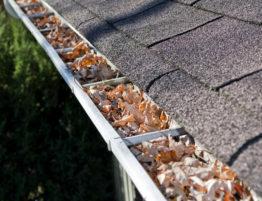 If your gutters look clear, the downspout might be clogged or it might not be big enough to accommodate water flow. 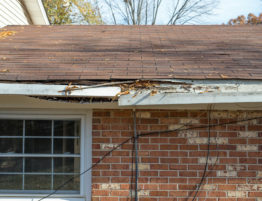 Signs of gutter damage aren’t confined to the house. Leaking gutters can also contribute to a soggy yard. Because gutters are supposed to divert water from problem spots, an unexpected area of flooding in your yard may be a warning sign. Puddles and pooling water near your house require immediate attention. 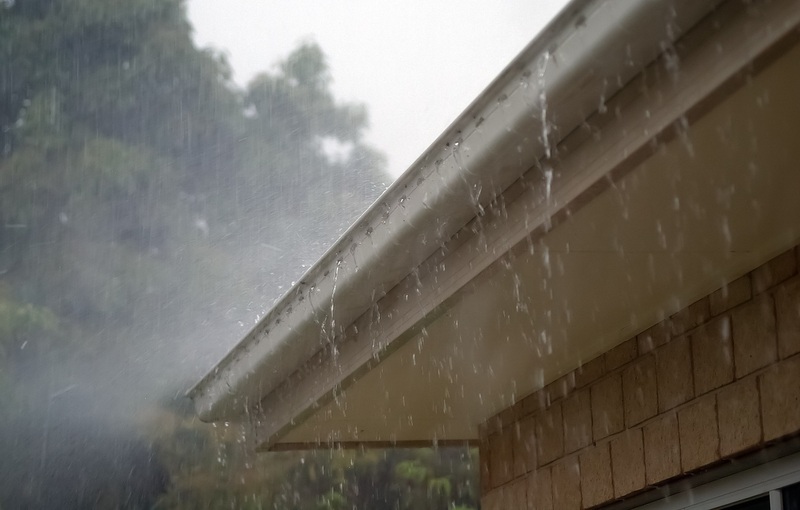 If you notice signs of water intrusion inside your house, gutter overflow may be to blame. 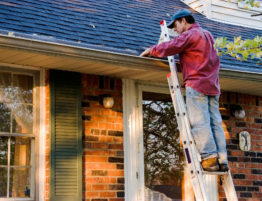 Clogged gutters send streams of water down your home’s siding. The siding is not designed to withstand that amount of water. As the water seeps through the siding into your walls, you’ll notice paint bubbling and residue on the ceiling. Wet spots encourage the growth of mildew and toxic mold. Basement leaks are often the result of saturation from damaged gutters. Standing water makes its way through foundation cracks. This can be particularly damaging when evening temperatures drop below freezing after a daytime rain. Attics are also susceptible to gutter related water damage. If the fascia boards rot or come loose, water gets into the attic causing mold or drip damage. 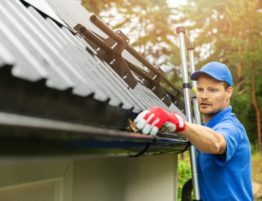 Are You in Need of Gutter Repair near Tacoma? 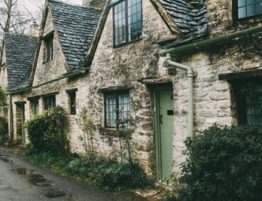 Are your gutters sagging or pulling apart from your house? Do they leak or overflow in a heavy rain? Have you noticed unexplained damage to your outer walls or ceilings? 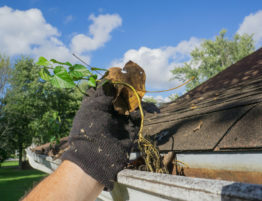 Your gutters may be in need of repair. 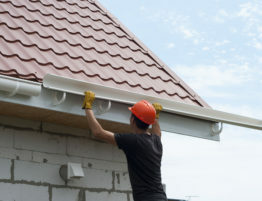 If you’re looking for gutter repair near Tacoma, check us out. We have years of experience and a reputation for quality. Get a free quote for gutter repair and replacement or any of your remodeling needs.